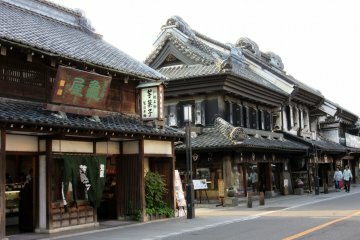 Kawagoe is quite famous in the Kanto area. Every year more than five million sightseers visit this small little Edo-style town, also known as “Little Edo” or “ko-edo” in Japanese. However, it's always worth visiting, as there is so much to see. 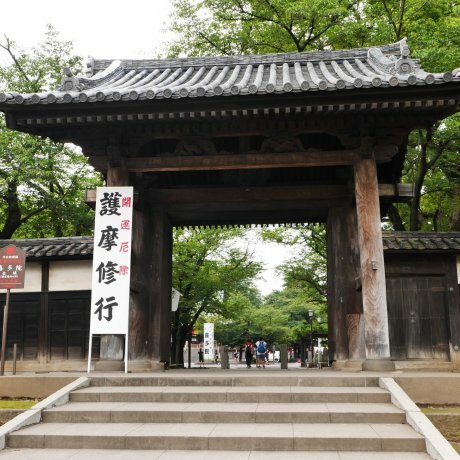 Its main sightseeing spots are Kurazukuri Street with its clay-walled warehouse-style buildings from the Edo period, Kawagoe Castle and the grounds of the Kita-in Temple, where you’ll find the Toshogu Shrine and some remains of the original Edo Castle. 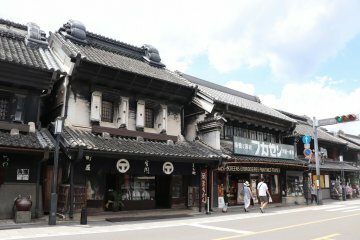 My house is located only ten minutes away by train, so I visit Kawagoe quite often. This summer I went with some former co-workers and we had a great time visiting different temples and take some pictures. The Naka-in Temple for example, just south of the Kita-in temple grounds, was built by the great religious leader Jikaku-Daishi Ennin, during the Heian Period (794 to 1185). It is famous for its fantastic cherry blossoms trees right in front of the main building. There is also a little Japanese rock garden on the grounds. We continued towards Kita-in, another interesting Buddhist temple. 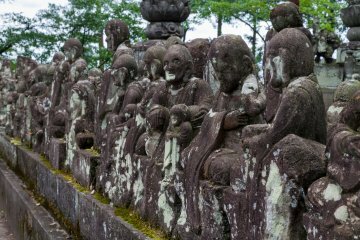 It is famous for its remains from the original Edo Castle and the statues of 540 wonderful rakan, small statues that represent the disciples of Buddha. It is said that Iemitsu, one of the first Tokugawa shoguns, took great influence to move some parts of the original Edo Castle from Tokyo, which had suffered severe damage during the Great Earthquake of 1923 and the second World War, to Kawagoe. When you step into this old building today, it gives you a great feeling of how the shoguns at the time were living. 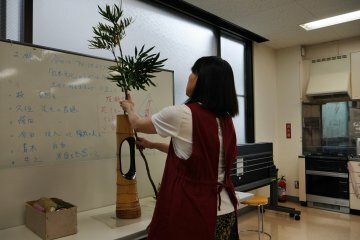 There are a reception rooms, a study, a kitchen, the original toilet and bathroom as well as the actual room where Iemitsu is believed to be born in. Last but not least we went to Honmaru Goten, the main hall of Kawagoe Castle, which was still closed for repairs when I went the last time. Now it has reopened I highly recommend a visit to everyone who is in the area. It has been beautifully restored and there is lot of background information available. Finally, we went to have lunch at the Japanese restaurant Sasagawa (link in Japanese). I chose Shookadoo Bento (1,260 yen), including sashimi, cooked white fish, tempura and vegetables. By the way, Kawagoe is generally known also for its sweets, in particular anything that can be done with sweet potatoes. Have you tried them? If you are in the area around the middle of October, the 3rd Saturday and Sunday of October to be precise, you should not miss the Kawagoe Matsuri. Vanitoy Bagel is a fantastic cafe and bagel shop in the "Old Town" neighborhood of Kawagoe, Saitama. 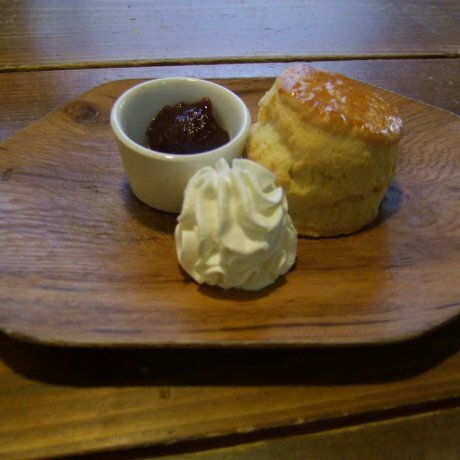 The food, drinks and atmosphere.. 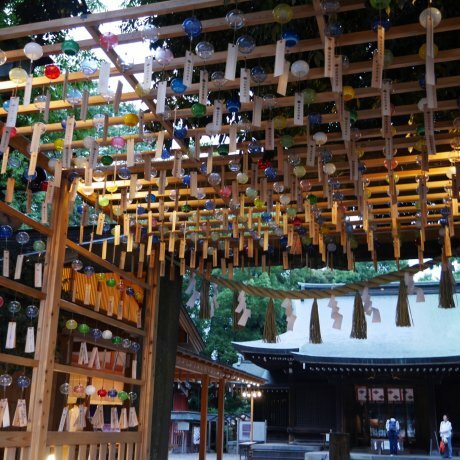 The head temple of the Buddhist Tendai Sect, Kitain Temple has origins dating back to 830 A.D. Aside from the temple itself, the..
Kawagoe’s Hikawa Jinja, separated from the main Omiya Hikawa Shrine over a century ago, is a great quaint location to end your.. 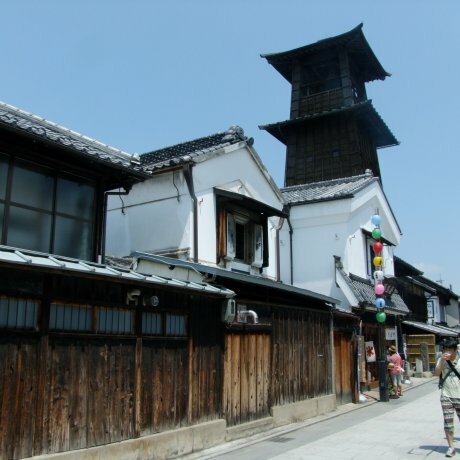 The Bell Tower is the symbol of Old Town in Kawagoe City, Saitama. A town preserved in historical appearance and manner, it's..